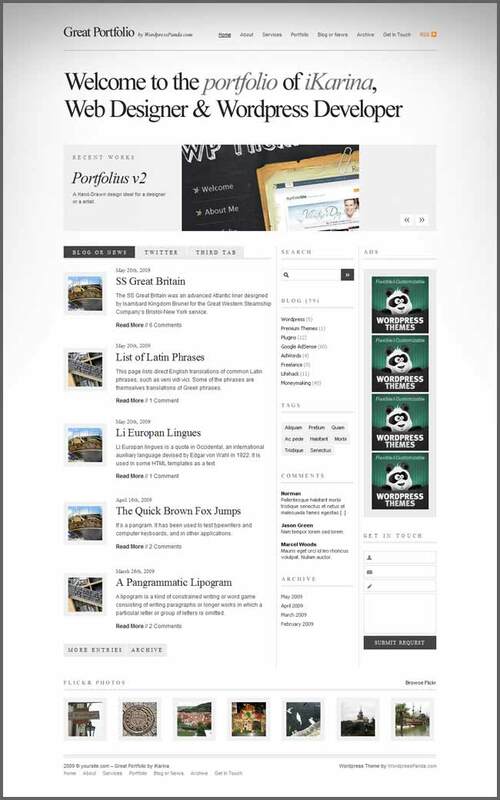 Aside from Portfolio you can have Blog or News and put your thoughts and updates online. You may switch layout's blocks (e.g. Footer) and widgets from Options Page. 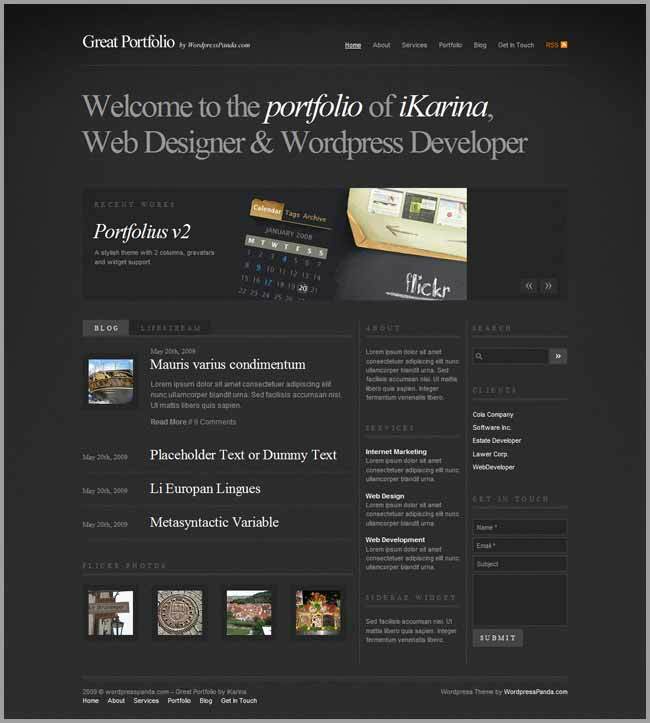 This theme comes with two homepage templates: 'Blog' and 'Business'. This theme comes with a script that allows you to display recent works on your home page. Chose one of ten color schemes. Up to 4 blocks avalable for 125x125 px banners. 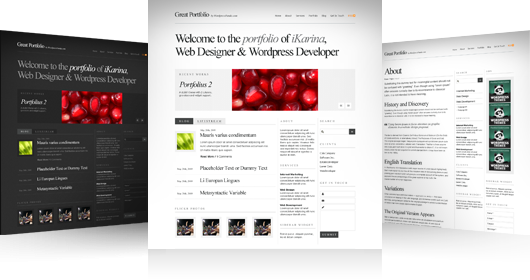 Theme is bundled with a built-in Options Page to control many features of the theme. You may enter thumbnails manually, otherwise thumbnails are created automatically. A built-in script automatically resizes your screenshots for the Archive Page. Set your own logo or use default text logo. 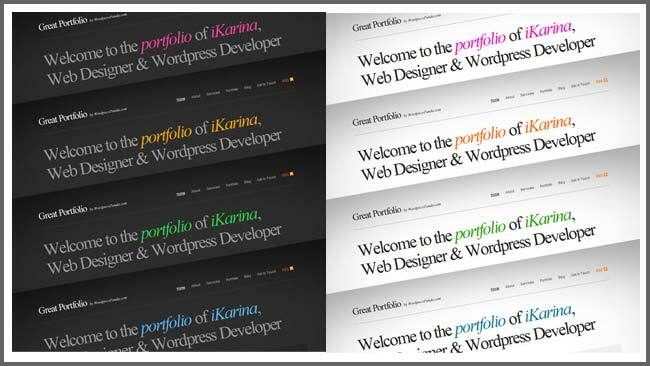 The theme packages are include free updates and support. The theme documentation guides you through the installation process and more. thanks for share, congrats Panda WP Themes ! For me and for now. I\'ll try again later.